A set of measures to optimize the site and its content in such a way that users can conveniently share them in social networks. 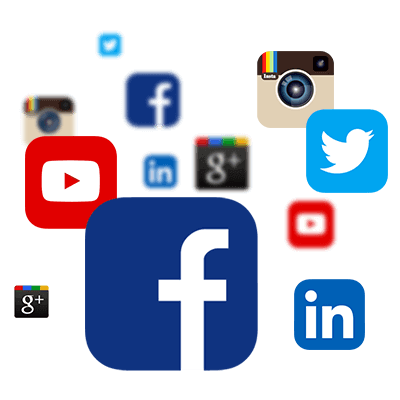 Spreading the content of your site through social networks leads not only to the growth of the site’s SEO positions but also promotes the company or brand among Internet users. In actual conditions, the distribution of the content of your site through social networks helps to increase the level of trust of the target audience of users to your company, brand, offered goods or services. It is necessary to regularly optimize the site for social networks in accordance with constantly changing requirements and algorithms of various social networks. Actual market conditions require mandatory effective presence of materials on your site in social networks. Prices for work on SMO-optimization of the site by SMO Company in India are set individually. The price for these services depends on the current situation with SMO on the site, as well as on the ultimate goals and tasks of the customer. SMO-AUDIT OF A SITE AND COMPETITORS: – Analysis of the situation with the SMO site at the moment, as well as SMO-analysis of the main competitors, the identification of strong and weak SMO site sides. SITE USABILITY ANALYSIS: – Optimizing the site for social networks in many assumes the convenience of using content and its distribution in social networks. The analysis of usability makes it possible to identify the level of usability of the site and improve it. DEVELOPING SMO CONTENT: – SMO services involve the development of content that motivates users to interact: Commenting, Reposting in various social networks. FILLING THE SITE WITH SMO-OPTIMIZED CONTENT: – The transfer of content already optimized for social networks directly to the site while preserving the correct formatting and displaying visual materials. TESTING: – The final stage of SMO-optimization, which identifies possible errors, typos, it is possible to further adjust the content, if necessary. Why Choose Us for PPC? Web-studio full cycle Mega Web Design has developed a number of its own effective methods for optimizing sites for social networks, which show high results and affect the final conversion of the site. SMO directly affects the increase in sales through the promotion of your company or product on social networks: users are more likely to purchase goods or services from companies and brands that are “spoken” in social media. Users tend to trust materials that are distributed by other users through social networks. Such materials are considered relevant and verified, which forms a loyalty to the company, brand or product of the audience. Our web studio specializes in developing customized solutions for our SMO customers, which gives the highest possible and tangible results of optimization. Copyright © 2019 Mega Web Design. All Rights Reserved.